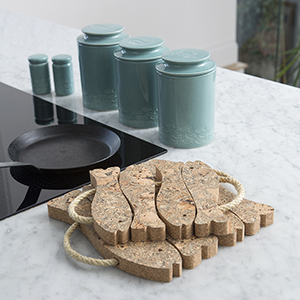 We can see the appeal of a kitchen filled with fancy things, but we do sometimes ignore the basics and the importance of the environment - T&G's FSC® Certified Cork tablemats, pot stands and coasters give back - they look great, are practical, functional and environmentally friendly. 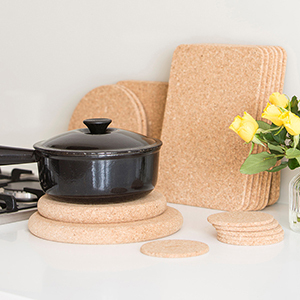 T&G's FSC® certified cork table mats are harvested from trees that regenerate themselves, designed and turned into coasters and pot stands which are perfect for protecting work surfaces and table tops. 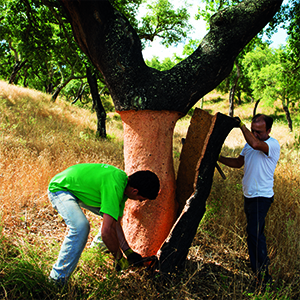 Cork is an ecologically acceptable product as it is one of the only materials which regenerates itself. 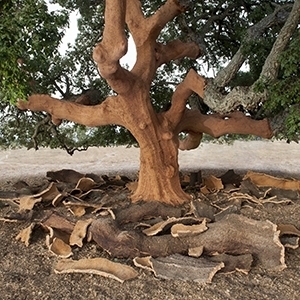 Cork is in fact the outer bark of the cork oak tree, which is grown in Portugal, Spain, South of France and along the North African Coast. The bark is stripped only in summer and the first stripping must wait until the tree is about twenty years old. Subsequent strippings take place every nine or ten years. Cork tablemats are an ideal natural base for any dining table! Not only protecting the enviornment but also your work tops and dining table. 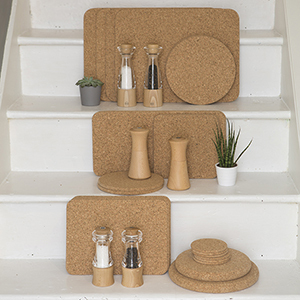 Shop our complete cork range.